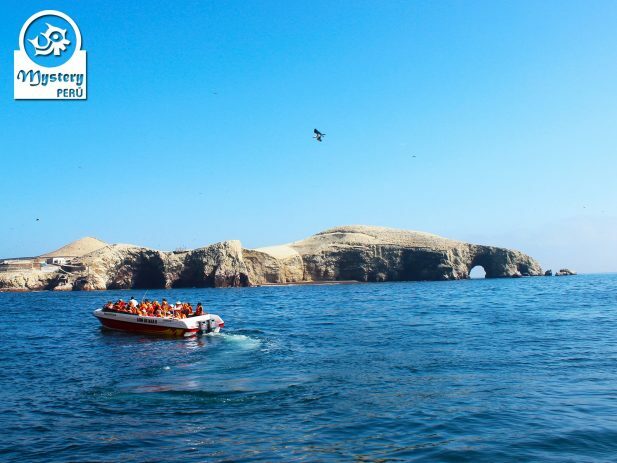 The Ballestas Islands and The Huacachina Oasis Full Day Trip from Lima involve a nice boat tour on the Paracas Sea and a dune buggy tour around the desert. 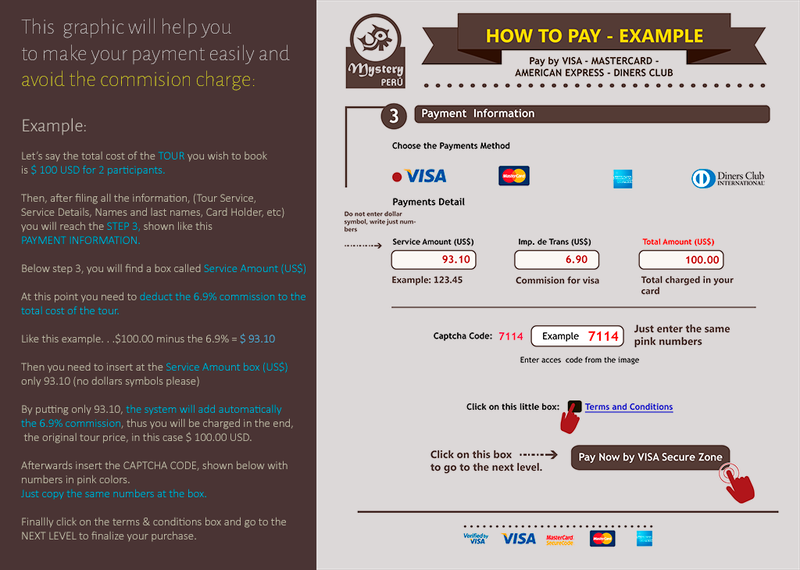 Our trip starts right at your hotel in Lima. Our driver picks you up from there. 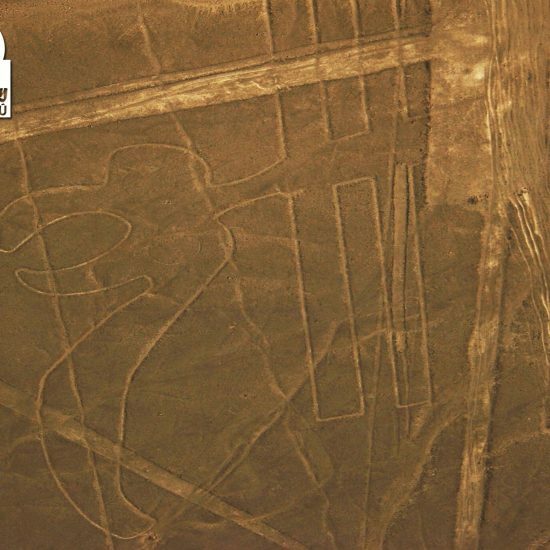 Then we leave from Lima early in the morning towards the Paracas Bay. The car ride to Paracas lasts about 3 hours. 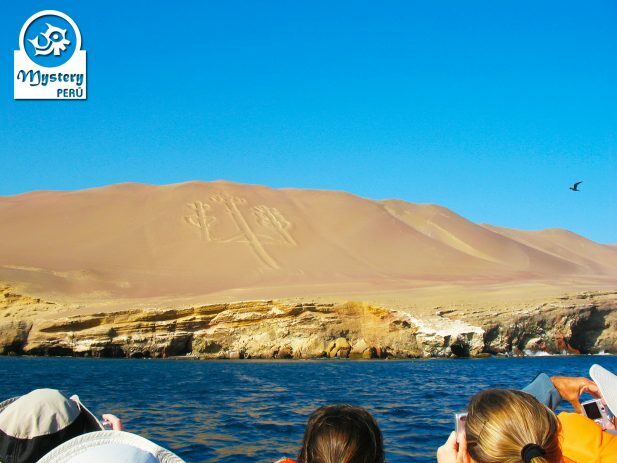 During our boat excursion you will see a huge design on the slope of hill, known locally as The Candelabra. 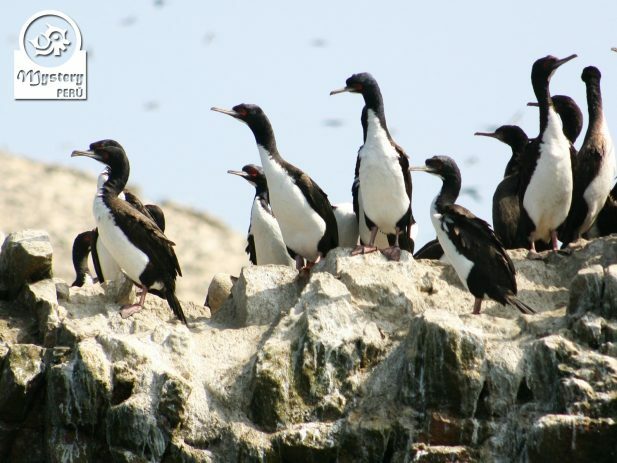 Afterwards, we will reach the Ballestas Islands, here you will see hundreds of marine birds. 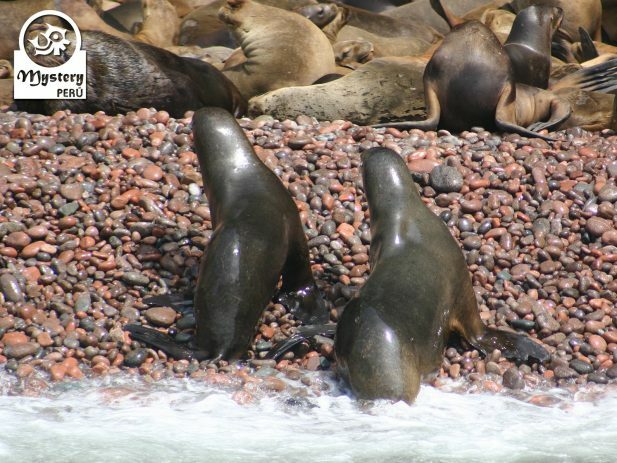 These small Islands also shelter large colonies of sea lions, which are usually resting on the beaches. In addition you will see also groups of Humboldt penguins too, usually near their caves. Afterwards we will get back to the mainland and will continue our trip to the Huacachina Oasis. 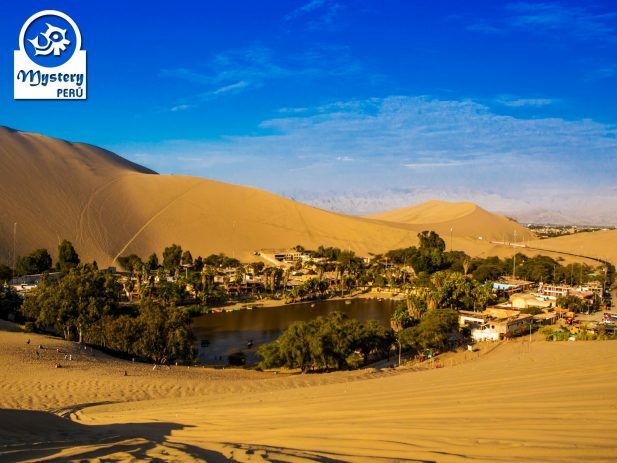 Upon arrival in Huacachina Oasis, we will join a desert tour. For this excursion we use a dune buggy machine. During the ride we will make various stops along the way for photos. 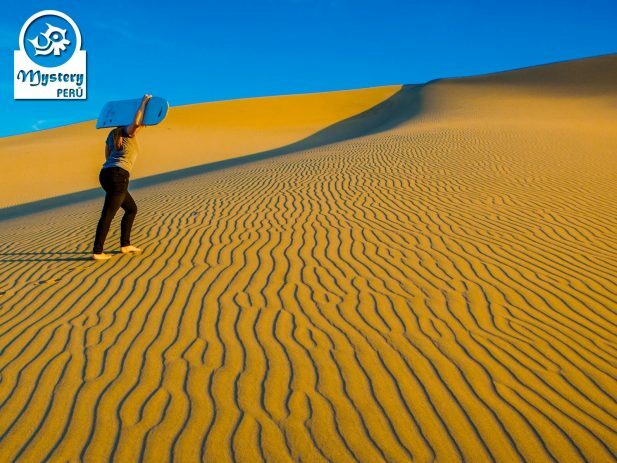 There will be some points where you will have the opportunity to practice Sandboarding. 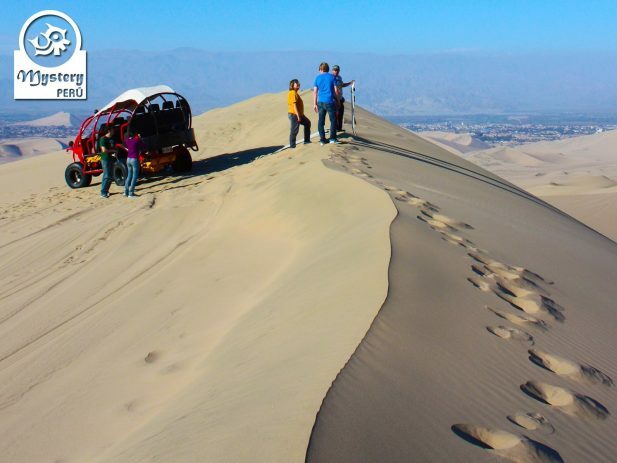 The desert offers a wide variety of dunes, suitable for the very beginners, as well as for professional sandboarders. Additionally, we also experience a great sunset over the dunes. After the tour we return to the city of Lima. 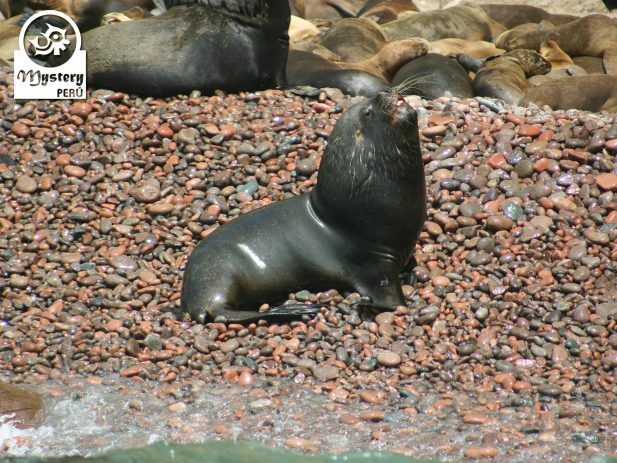 Our Ballestas Islands and The Huacachina Oasis Full Day Trip from Lima is subject to availability. 10:30 h. Departure from Paracas to Ica. 11:30 h. Visit to the vineyards of Pisco in Ica. 12:30 h. Lunch on a tourist restaurant. 14:00 h. Visit to the Huacachina Oasis. 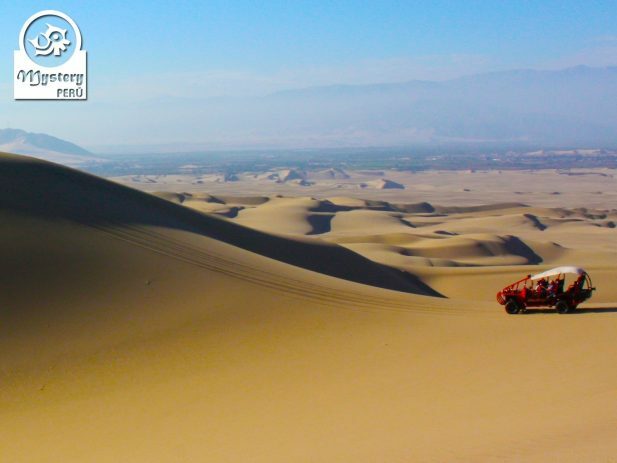 15:00 h. Dune Buggy & Sandboarding tour in Huacachina. 17:00 h. Return to Lima. 21:00 h. Arrival in Lima. Drop off at your hotel.